Winner of the Pulitzer Prize when it was first published in 1918, **The Magnificent Ambersons **chronicles the changing fortunes of three generations of an American dynasty. The protagonist of Booth Tarkington's great historical drama is George Amberson Minafer, the spoiled and arrogant grandson of the founder of the family's magnificence. Eclipsed by a new breed of developers, financiers, and manufacturers, this pampered scion begins his gradual descent from the midwestern aristocracy to the working class. Today The Magnificent Ambersons is best known through the 1942 Orson Welles movie, but as the critic Stanley Kauffmann noted, "It is high time that [the novel] appear again, to stand outside the force of Welles's genius, confident in its own right." 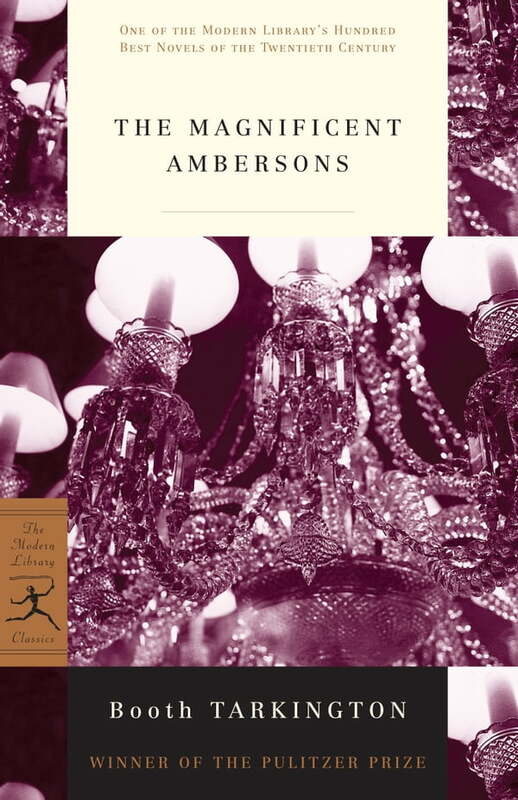 "The Magnificent Ambersons is perhaps Tarkington's best novel," judged Van Wyck Brooks. "[It is] a typical story of an American family and town--the great family that locally ruled the roost and vanished virtually in a day as the town spread and darkened into a city. This novel no doubt was a permanent page in the social history of the United States, so admirably conceived and written was the tale of the Ambersons, their house, their fate and the growth of the community in which they were submerged in the end."